Just wanted to release this and be done with it. The community is welcome and encouraged to rebalance and play with the items of this map. The .map source is there for editing. Not sure if I can redistribute the .wad file but here it is: tp-indust.wad credits to simonoc for the textures i chose. I very much enjoyed games on earlier versions of this. One duel ended with a 2 frag difference and felt exciting throughout. Fights can happen contesting multiple items (red, yellow, lg, mega). The possibility of escaping fights is much nicer then some other duel maps where its feels like you always have to commit. The ladders provide something unique from the normal map pool. bump for new version. dl link in original post! bump for new version Release canidate 1. I promise this map will have a final version, i really like it. bps gave good feedback on giving the map personality by adding places for banners. Im sure this would look a little better with custom textures. But anyway give advice on any changes to item placement / geometry that you have or any bugs you encounter. Next version will be the final release! link to download in original post. bump final version released enjoy qwers! Thanks foogs. 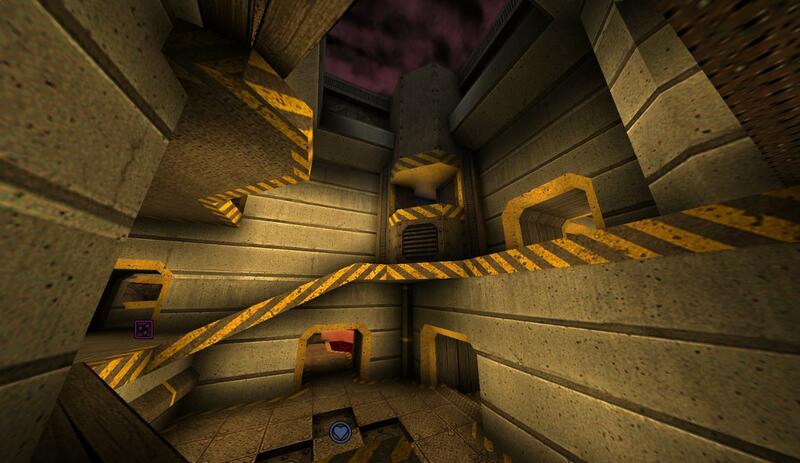 Uploaded to play.quake1.pl. I've been enjoying shifter. but there are way too many cells. Packs often have 50+ cells.